Our fitness and coaching education programs are open to anyone with a desire to learn, there are no pre-requisites. Each training program includes continuing education units (CEUs) for those with certifications that require CEUs to stay current. 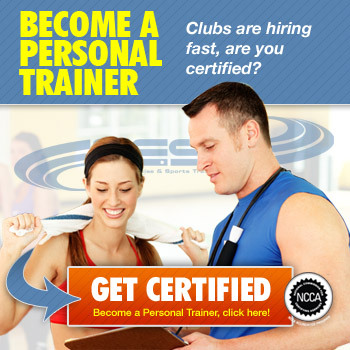 Coaching Certification Programs, Wellness Coach Certification, Life Strategies Coach Certification, Certified Results Coach, Sleep Science Coach, Corporate Wellness Coach Certification, Lifestyle Fitness Coach Certification, Personal Fitness Chef Certification, Mind Body Fitness Coach Certification, Sports Psychology Coach Certification, Sports Hypnosis Certification,, Green Living Coach Certification, Holistic Life Coach Certification, Stress Management Coach Certification, Design Psychology Coach Certification, Fitness Certifications & Education Courses. A comprehensive and easy-to-follow personal training education course includes an enhanced interactive digital manual, over 10 hours of video training (fun lectures and detailed demonstrations), PDF note packets to improve your comprehension and enjoyment, easy-to-follow audio lessons. And, your proctored certification exam is included. Enjoy the benefits of your 100% accelerated online training program. You receive LIFETIME ACCESS to all of your online training materials. Your training materials are all online. Become a Certified Mixed Martial Arts Conditioning Coach. The MMA Conditioning Association is where you turn your passion for martial arts and fitness into huge profits and world class results for your students and members. Proven Science + Unconventional Training + Experience from the Cage + Direct Application = World Class MMA Conditioning.